September is almost here, which for most preschool teachers means it’s time to checking off the list of things do do while it’s still summer in anticipation of returning to the classroom after Labor Day. One thing that may be on that list of solidifying your preschool lesson plans for math. 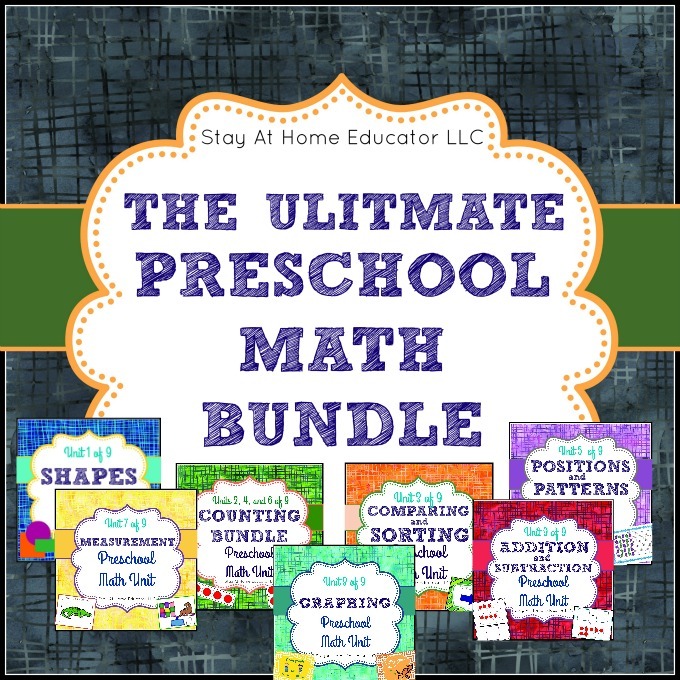 With the gaining popularity of my post How to Write Preschool Lesson Plans a Year in Advance, I continue to get more and more questions about how to prepare for math. What skills need to be taught and in what order? Today I’m not only sharing with you my actual and real preschool math lesson plans, but I’m sharing with you exactly how I went about writing them. There are five disciplines of math, so my goal, even as a preschool teacher, is to incorporate all those disciplines into my lesson plans. Those five disciplines are: number sense (counting and adding and subtracting), algebra (positions and patterns), geometry (shapes), measurement and data analysis (graphing). Every one of them can be taught in preschool. But, I have a solution. The answer is to spiral the math curriculum. That means to not teach concepts in whole units, but to break them up to spread out the learning over time. Rather than teaching the entire unit in a concentrated amount of time and keeping your fingers crossed that the students mastered everything you taught, you have the opportunity to return to the content. So, instead of spending the entire month of September learning about shapes (geometry), you might focus on shapes for a week and then teach a week on measurement, counting for a week, and so on. But I did tweak the traditional spiraling concept for my preschool math lesson plans. I know the importance of building number sense. I believe it is the most important math discipline because without competence in number sense most cannot be competent in other disciplines. Number sense includes counting and identifying quantities, number recognition, subitizing, and addition and subtraction, as well as more abstract concepts like number relationships and using mathematics in real world situations. We want children to develop very strong number sense skills because we want them to have fluidity and ease in these foundational math concepts. So, with number sense being so important, I like to break it down so that my preschoolers are getting practice and reinforcement all year long. In my math lesson plans we spiral back to the number sense strand nearly every other week. As you can see in the above, I broke down the number sense discipline into even more groups, focusing on building strong skills in counting 0-5, then counting 0-10, counting 0-20, and finally addition and subtraction. With them subdivided like this, my preschoolers get more practice and reinforcement in number sense skills every other week, in addition to the fun and little activities, like counting songs, that we do on a daily basis. My daily lesson plans cover some important elements which I believe are pivotal to the success of my students. I start my preschoolers off with a “problem of the day”, which is a short review, hands-on math problem that gets our brains into the math mindset. Then we read and discuss some math books (that’s for another post) related to the unit content, followed by small group concept or skill work. Finally, our math time ends with centers. I’ve designed eight centers per math unit, which means two new centers each week for my students. And of course these same math skills get reinforced in free choice centers, too, like in the dramatic play and block areas. Now, we don’t do all of this every single day…at least not all the time. I take cues from the children, but as usual I’ve over written my lesson plans so that depending on the day and class I have plenty, and I mean PLENTY of activities and centers to choose from. I have now walked you through how to write math lesson plans. Yet, you have another option. You don’t have to reinvent the wheel! 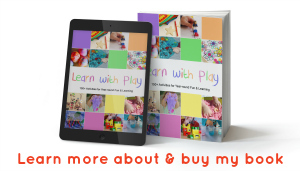 Due to reader demand, I am now offering my preschool math lesson plans for sale. You can buy each unit separately, or you can buy the counting units as a bundle. 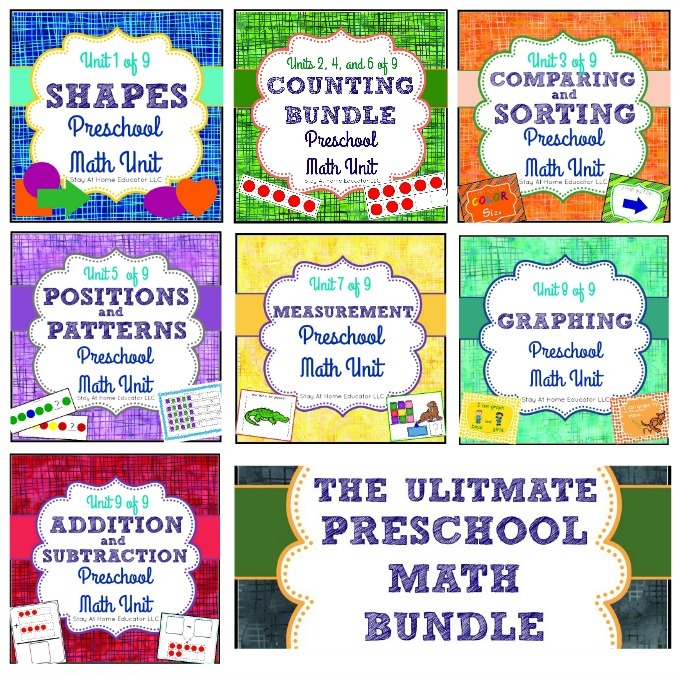 But…the greatest value is in the Yearly Preschool Math Lesson Plans Bundle. By purchasing it bundled you save over 20%! These are also available at the Teacher’s Pay Teacher’s store. 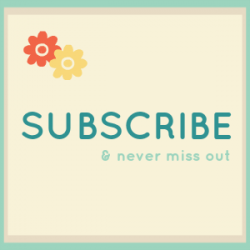 You will also receive my complete MATH SCOPE AND SEQUENCE, (yup, the rest of the spiraling scope and sequence I shared above), taking the guesswork out of planning your year. 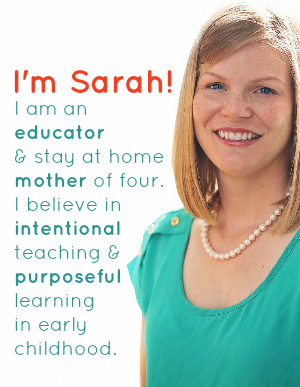 Because you already have enough to do without worrying about how to teach preschool math. I love these math lessons! I bound all the lesson plans in one book using your scope and sequence guide to place them in the right order. It works great! The “week in the school year” column corresponds with the page number (I wrote it on the bottom corner”. This way I have all 9 units in one book and in the correct order for teaching (36 pages). I use this with a prekindergarten preschool class (ages 4-5) that meets 2 days a week. I will use these lessons EVERY day of class. I’ll print the centers as time goes on and I decide which ones I’m going to use. Its worth the price for the organized, simple lessons alone. Thank You! I’m so glad you love them! I can’t tell you how wonderful your year will be knowing that the lesson plans are in place and ready to go each week. They have been such a tie saver for me! Thanks for the kind feedback! I am starting this week at my school and am looking forward to them! Just a quick question. You have two problems pf the day for two days, but I see only one concept skill lesson. Do I do the same lesson with the small group again? Thank you for your help. Yes. I repeat the same lesson for both days and then use the current and any past centers to individualize the lessons. It’s a download you can purchase in the post.